Senior Healthy Weight is uniquely formulated with: 27% Crude Protein / 11.5% Crude Fat Balanced with only 42% Total Carbohydrates! Like all Victor Formulas, this Senior / Healthy Weight food is free from Corn, Wheat, Soy, Gluten, and contains multiple additives from Alltech along with Complex Minerals and Antioxidant Vitamins that work together promoting excellent digestive and immune system health. Also included are excellent levels of Glucosamine and Chondroitin that work together to support long term joint health. L-Carnitine is an amino acid added in this food at the rate of 200 mg/kg. L-Carnitine helps the body burn additional fat, making it an ideal ingredient to be included in this food. All said, this is an excellent choice for the older, less active dog and or dog of any age that is in need of reducing weight. VICTOR Senior Healthy Weight formula meets the standards for AAFCO nutritional profile essential to be “complete and balanced” as an Adult Maintenance formula for dogs. This formula contains the nutrients essential to supporting a healthy pet, specifically: vitamins, minerals, essential fatty acids, and protein and amino acids. 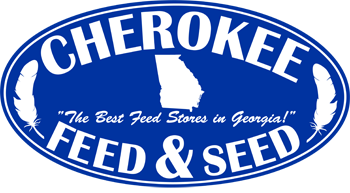 Naturally formulated with added Vitamins, Minerals and Trace Nutrients. 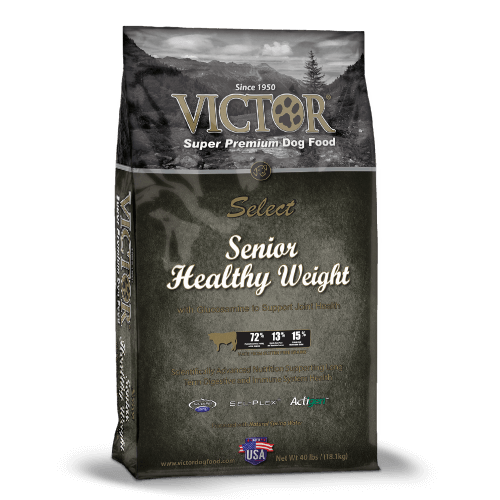 L-Carnitine helps the body burn additional fatNutritional Adequacy Statement: VICTOR® Select Senior/Healthy Weight is formulated to meet the nutritional levels established by AAFCO Dog Food Nutrient Profiles for Adult Maintenance.